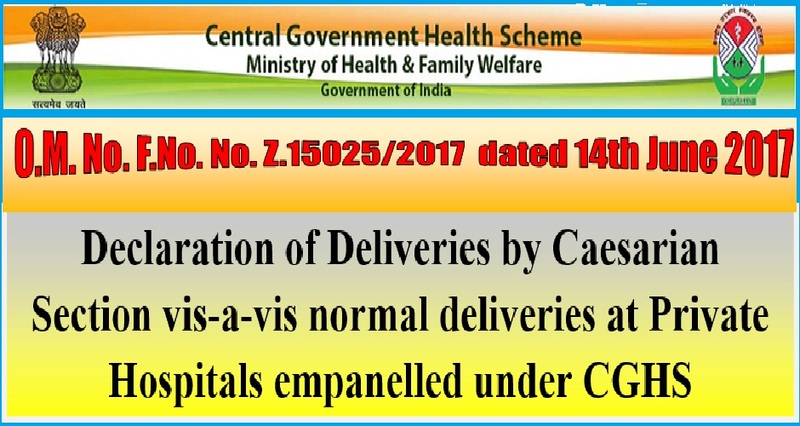 With reference to the above mentioned subject the undersigned is directed to state that matter regarding increasing ratio of deliveries through Caesarian section in Private Hospitals has been brought to the notice of Ministry of Health and family Welfare. 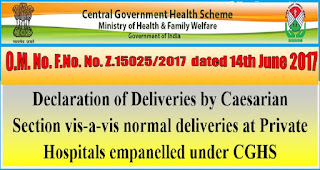 in this regard it has now been decided that empanelled hospitals under CGHS shall inform the Public about ratio of deliveries by Caesarian Section vis-a-vis normal deliveries in its Hospital. 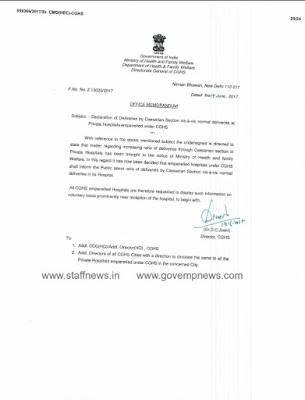 All CGHS empanelled Hospitals are therefore requested to display such information on voluntary basis prominently near reception of the hospital, to begin with. 2. Addl. 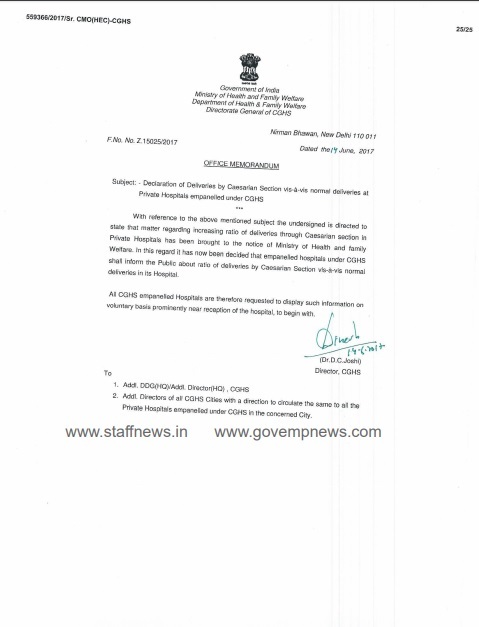 Directors of all CGHS Cities with a direction to circulate the same to all the Private Hospitals empanelled under CGHS in the concerned City.